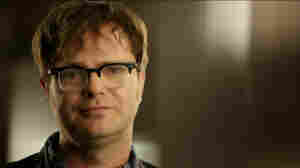 Rainn Wilson, who plays Dwight on The Office, is featured in the new PBS miniseries America in Primetime, which examines the archetypes on television today. October 28, 2011  The PBS documentary series America in Primetime, which premieres this weekend, puts TV under the microscope, analyzing various tropes and character archetypes. Critic David Bianculli says it's the smartest TV show about television he's seen in the past two decades. 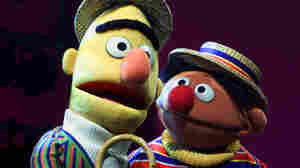 Bert and Ernie's new boss is now Mel Ming. October 27, 2011  Bermuda-born Mel Ming was recently named the new CEO of Sesame Workshop, the non-profit behind the legendary TV show aimed at preschool-aged kids. Ming speaks with Michel Martin about his winding and surprising journey to Sesame Street, which includes experiences in the U.S. Army during the Vietnam War era and at NPR. He also shares his big ambitions for Sesame Street. 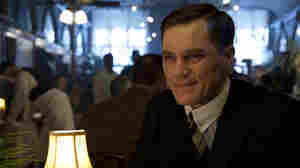 Michael Shannon plays federal agent Nelson Van Alden on the HBO series Boardwalk Empire. "I think inside of Van Alden is a child — that arrested child — that never really got to develop its own identity," he says. October 24, 2011  The actor plays a righteous federal agent who succumbs to all sorts of temptations on the HBO drama Boardwalk Empire. To build the character of Nelson Van Alden, he says, he worked out an elaborate back story about the agent's childhood. 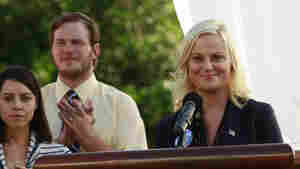 Amy Poehler, seen here with Aubrey Plaza as April Ludgate and Chris Pratt as Andy Dwyer, plays idealistic bureaucrat Leslie Knope on NBC's Parks And Recreation. October 20, 2011  Emmy-nominated actress Amy Poehler talks to Ari Shapiro about her role as an aspiring local politician on the NBC comedy Parks And Recreation. October 19, 2011  When Amy Poehler spoke to Ari Shapiro for Thursday's Morning Edition, NPR producer Ben Bergman says her character would have been thrilled to know where Shapiro was calling from. October 17, 2011  Fallon is thankful for slow walkers, people named Lloyd and the word "moist." The comedian and host of Late Night collects more than 100 nuggets of gratitude in his book Thank You Notes. 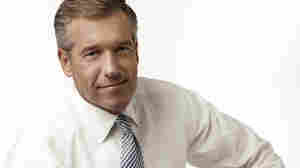 He talks with Terry Gross about giving thanks and doing impressions. Family Guy has received three Primetime Emmy Awards. 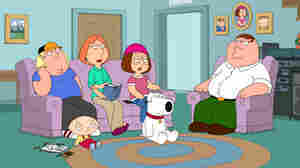 The series, set in Quahog RI, stars the Griffin family and their pet dog Brian. October 17, 2011  MacFarlane is best known for creating the animated TV shows Family Guy, American Dad! and The Cleveland Show. But he's also a singer whose new album features songs from the Great American Songbook. The cast of Que Pasa, USA? : Ana Margarita Menéndez, Luis Oquendo, Manolo Villaverde, Ana Margarita Martínez-Casado, Velia Martinez, and Rocky Echevarría. October 14, 2011  NPR's Lily Percy remembers American television's first bilingual sitcom and how much it meant to her family. Ted Danson and Marg Helgenberger search for clues on the CBS drama CSI. October 13, 2011  Actor Ted Danson has been captivating audiences for over 20 years. This fall, the actor appears in two TV series, playing an aging hotshot in need of a little spice on the HBO series Bored To Death and a forensic analyst on the CBS series, CSI: Crime Scene Investigation. Tracee Ellis Ross, left, and Malcolm-Jamal Warner star in BET's new family comedy, Reed Between The Lines. October 12, 2011  It's hard to find a good, solid dad in a family comedy. 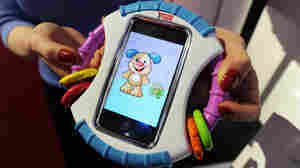 But BET is offering one in Malcolm-Jamal Warner, who cut his teeth in television being raised by one of TV's great dads.